Central Portugal has extensive beaches and fishing villages along the coast with mountains and plateaus dominating the landscape inland. 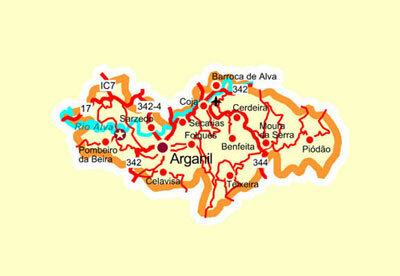 Beiras is the name of the region running south of the Douro river and north of the Tagus river. This region of Portugal is an area of contrasts, both ancient and modern with villages perched on mountain outcrops and endlessly appealing views of terraced olive groves and cool forest streams. 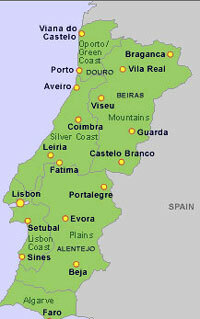 Both Porto and Lisbon are well served by airlines flying from a number of British airports. We are able to provide transport to and from the airport at an extra cost but would strongly recommend that you rent your own vehicle to enjoy your holiday to the full. Driving instructions from both airports are available on request. We are happy to advise on the best way of getting here but as a starting point we would suggest British Airways, Ryan Air and TAP for flights and Holiday Autos for car hire.